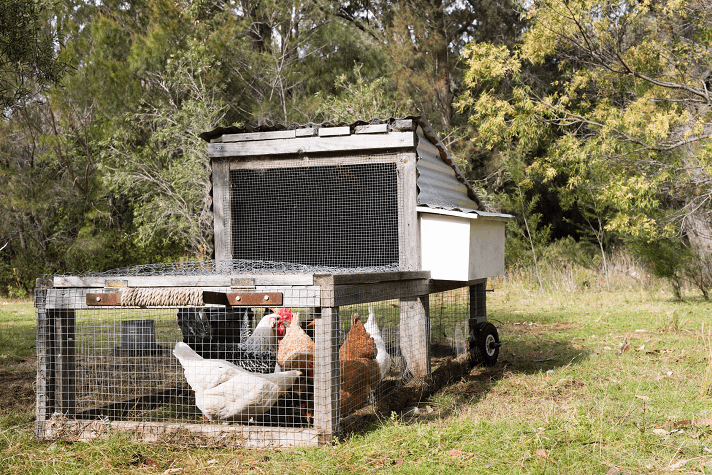 Whilst some folks prefer to build their own chicken coop, many folks shy away from DIY projects, preferring to buy a ready-made coop for their chickens. 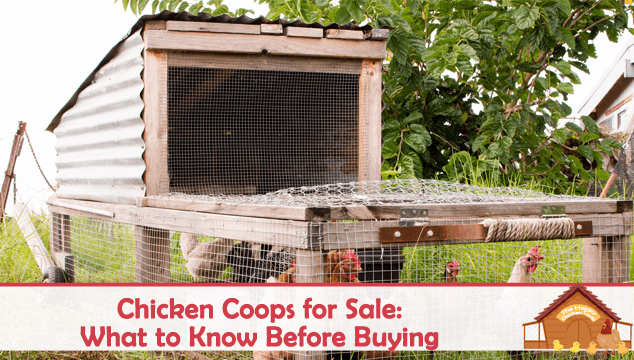 Buying a readymade chicken coop can be a quick and easy solution. 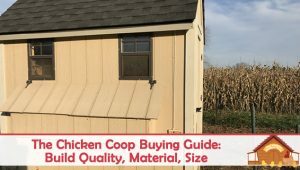 We have recently been asked what to look for in a pre-manufactured coop, so we have put some ideas together for you as to what exactly should you look for in a chicken coop. 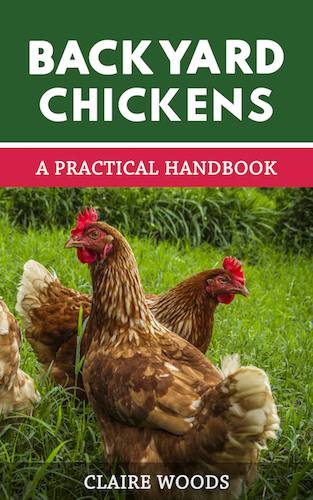 Read this article to learn what your chickens need from a coop and how you can select the best coop for your flock. The flock relies on you for safety, security, food and water – these are the absolute minimum basics. You are responsible for the feeding and watering every day, rain or shine. 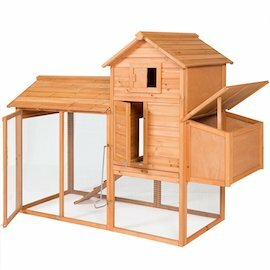 The coop that you buy must provide security and safety for your birds all day, every day. 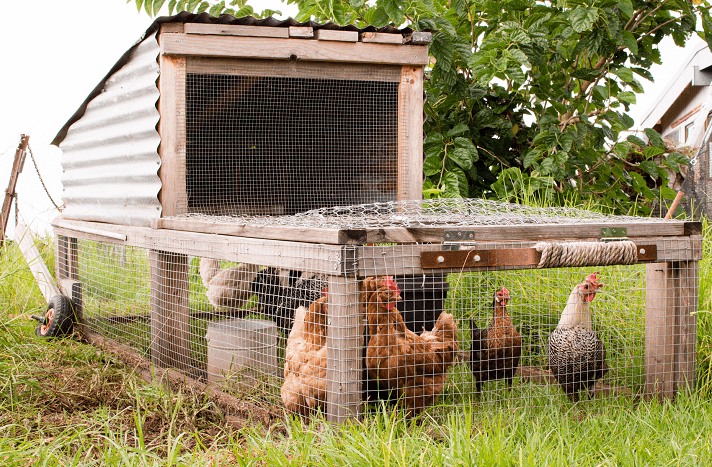 A well-built coop is essential for the health of your flock and for your peace of mind. Pop door: The chicken’s entrance to the coop. Ventilation: Usually placed in the eaves, should be adjustable. Perch: Each standard bird should have a minimum of 1ft of perch. Nesting Boxes: One box for every three to four hens. Easy human access for cleaning. Acceptable ‘hen space’ (square footage). Personally, I’m a great fan of being able to keep the feeder inside the coop – it deters predators at night and keeps the feed dry. In reality, most of the coops you will come across will have insufficient room for this. As long as there is an area where the feed can be hung or positioned to keep it out of the rain it should be fine. Changing out wet feed can be costly and time consuming. Please don’t buy a coop just because it looks pretty – remember security is everything! Here’s a ‘work list’ for you to look through, areas where problems can arise and desirable things to look for. Here in the US, many chicken coops are manufactured by the Amish or Mennonite community. These coops work very well, after all the majority of the Amish and Mennonites are farmers, so they know what is required from a coop. The workmanship in these coops is usually top class – these coops won’t fall apart after one season. Many ‘prefab’ coops come from China. They are usually cheap, look pretty good but the standard of work is lacking. Are there gaps where boards meet? This is not good for colder climates. How sturdy is it? Does it shake and rock if you push against it? How thick is the wood? It should be at least 10mm. Are the hinges and hardware rust proof? What sort of lock does it have? Are the windows/vents protected with hardware mesh? Is it plastic? Know that gnawing predators will waste no time in trying to access your birds. Although you can always change out hinges, hardware and locks, if the basic structure is not sound then you are wasting your money. Ensure that the pieces fit together well. There should be no gaps or areas where a draft can chill the birds in winter. If the wood is fairly thin, be aware that it may well warp and twist after a few months in the elements – this is one of the biggest complaints I have heard about with these cheaper coops. Do you think it will it fall apart if you push it over? If the answer is yes – don’t buy it. It needs to be able to withstand whatever weather you have in your area. Sudden windstorms or thunderstorms have been known to destroy more than a few coops. Windows and vents should be screened with ½ inch hardware mesh to keep out predators. Check also to see what type of paint or stain they have used inside the coop. Many paints and stains give off vapors that can be harmful to you and your chickens. The birds are going to be inhaling that all night. Ideally, you would be able to paint and stain it yourself, that way you can leave the inside as bare wood. This is very important! Do not believe the advertising hype that tells you a box 3ft x 4ft will hold 6 chickens. Technically it will, but not if you want happy and healthy hens. Remember from our past articles, each bird should have 4 square foot of floor space for a standard bird, and 2 square foot for a bantam. Less space will lead to antisocial behaviors such as picking and pecking. If this coop is going to be a summer only coop and has an extensive run, or the girls free range, then less room in the coop is ok since they will be sleeping or laying eggs only. How much room in the run? Experts advise 8 square foot per standard bird and 4 per bantam. Bantams are easier to accommodate since they like to fly. You can put up a few perches for them and it will increase their useable space. Your next choice is a mobile or stationary coop. If you don’t want your garden or yard reduced to a dusty, bare earth, a chicken tractor would be ideal. You can move it around every few days to prevent barren, bald spots appearing in your yard. If you choose a tractor (ark) – how heavy is it? Is it easy for you to move? If you have a riding mower, ATV or some other means of moving the structure the weight doesn’t really matter, but if you have to haul it yourself from point A to point B then weight matters a lot! Static coops are nice in that once you set it up you can leave it in place and not worry about it. If you are concerned about cleaning the floor of the run, you could lay a concrete or paving stone floor for ease of cleaning otherwise you can simply leave it as and rake occasionally. If you want other suggestions on what to use see our article here. Do you live in a temperate area? Desert? Cool and damp? All of these things will affect what sort of coop you should buy and where to place it. As an example – if you live in an area that gets cold winds from the North, setting the coop against a wall or building that will mitigate the winds will help to keep your birds warm in the colder months. Alternatively, if it gets blisteringly hot by noon, placing the coop in an area where it gets shade from the worst of the heat will help. The take away here is you need to buy something that is suitable for the types of weather you get. Take a good look at your property before you buy – where exactly are you going to put the coop? How Much Should a Coop Cost? You can buy a coop for as little as $99.00 – but do you want to? Bear in mind that if the coop is cheap there is a reason, it is usually a ‘no frills’ type of box. Coops range in price from $99.00 to $3000.00+ depending on what you want. Many of the mid-range coops do a pretty good job of keeping the hens warm, dry and secure. 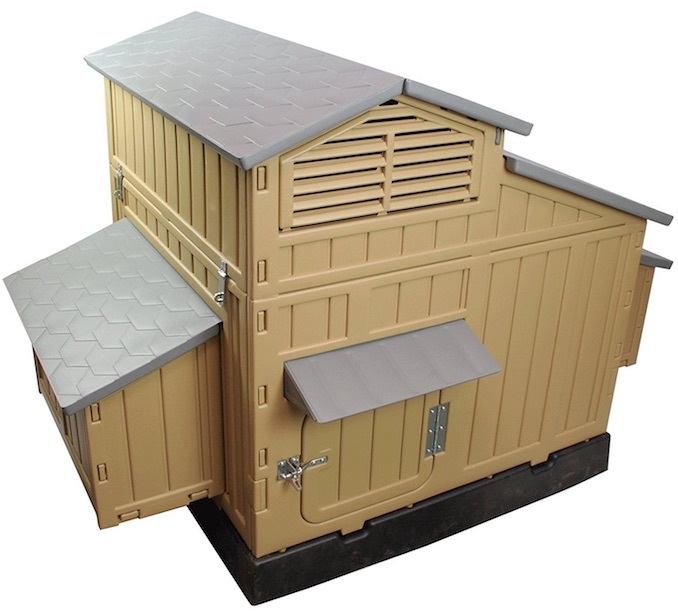 A lot of them come with a pen enclosure that fits around and with the coop providing an extra layer of security. This video does a really nice walk through of an installed coop to show you the all the bells and whistles. It’s a bit long but well worth it as it shows you security features too. Note that the coop shown is customized. The standard coop of the same dimensions costs around $2,400 from this particular company. However you should look to spend around $500-$750 for a mid-range coop. Here is something you might consider to save some money and if you know a friend or neighbor who is good at carpentry and willing to help you out. Often a garden shed will cost less than a fully kitted coop. A garden shed can be made into a coop with very little work. You will need to have a plan in mind, but you will need to add nest-boxes, perches and a pop door – that’s all! 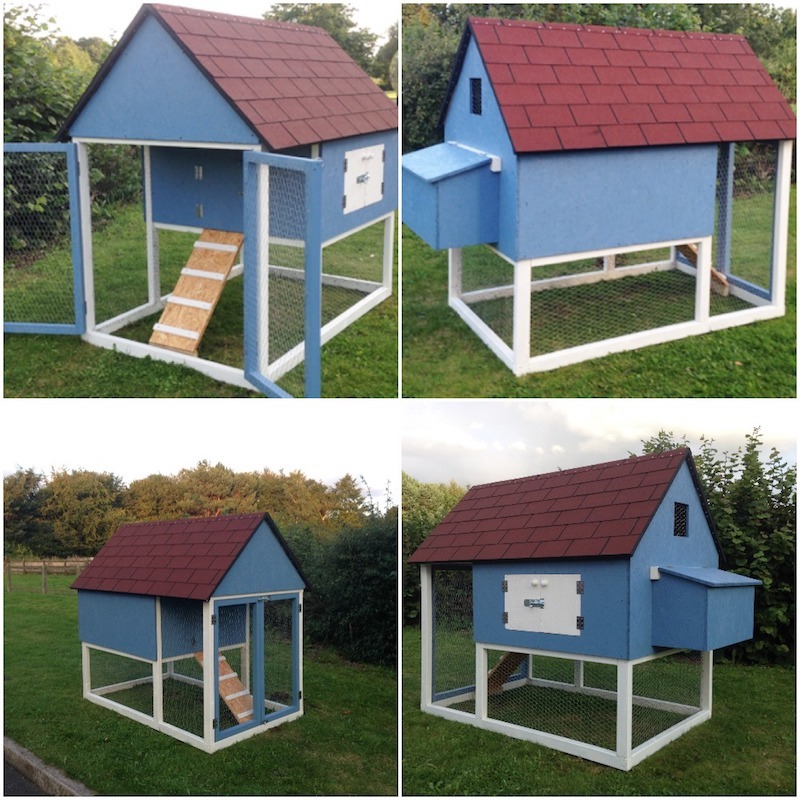 Whether you are looking for a coop that will house 2-3 hens or 20 -30 hens, there is something out there for you. The larger coops are usually available as online orders while the smaller ones are often set up as displays in the big stores. If you have planned everything well, you should be able to select the coop you want prior to getting your chickens, but often it doesn’t work like that! You have the basics here of what a coop needs, what to look for and how to avoid problems. 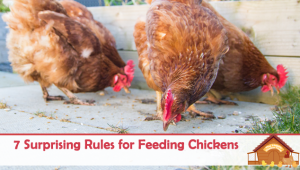 Please keep in mind that your chickens won’t care what it looks like – they simply want somewhere safe they can lay their eggs and sleep. We hope we have given you some valuable pointers on buying a suitable coop for your feathered friends – happy hunting! Thanks. I did get a Mennonite built coop, and I went with more bells and whistles than I actually need THIS YEAR, but I may have more birds next year! 10 layers and one rooster this year: Lots of perching space, 5 laying boxes, an outdoor run (and I adding in the electro-net additional space by the end of the week since foxes and hawks are endemic around here). Heated for winter (not yet connected of course). They’re all still juveniles (pullets and a cockerel), but they seem to enjoy their home. Good article, I live where it is cold so heat is my concern. I have a flat panel elec heater that works great so our chickens home, although self built, is fine. Security is #2.